Andrew Fisher became Australia's fifth prime minister after the Labor Party he led withdrew support from Alfred Deakin's Protectionist Party. His second term in office came after the Labor Party won the 1910 election. Fisher lost office at the 1913 election, but was prime minister again in 1914 after a double dissolution election. Andrew Fisher rose from humble origins to establish the Labor Party as a major force in Australian politics and lead a stable and effective federal government. He remained true to his progressive ideals and left Australia with a strong sense of national progress and a belief in what national government could achieve. As a young man, Fisher was a staunch unionist in the Ayrshire mines in Scotland, resulting in restricted work opportunities and subsequent emigration to Australia with his brother in 1885. By the late 1880s Fisher was working in flourishing gold mines at Gympie and became leader of the Amalgamated Miners’ Union and then the Workers’ Political Organisation, a forerunner to the Queensland Labor Party. 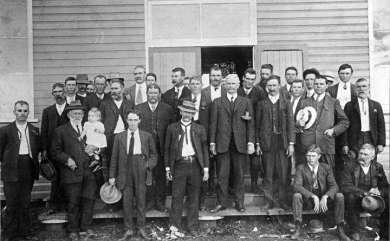 In 1893 Fisher was elected as a Labor member for Gympie in the state parliament. After losing his seat at the 1896 state elections, Fisher was re-elected to parliament in 1899, and served briefly as a minister in the seven day Dawson Labor government. At the first federal election in 1901, Fisher won the seat of Wide Bay. Fisher was Minister for Trade and Customs in the Watson government in 1904 and became deputy leader to Watson in 1905. Fisher became Labor leader in 1907 after the resignation of Watson and then prime minister in 1908 and on two subsequent occasions. Fisher’s substantial 1910 election win gave him control of both chambers and allowed him to embark on a blistering program of public policy that brought into existence some enduring and significant legislation and national institutions. Fisher retired from politics in 1915 and took up the position of Australian High Commissioner in London. The government offers a prize of five thousand pounds on 30 June 1910 for the design of an Australian military observation aircraft. A number of designs were submitted, but none were chosen. In the end, Australia's first five military aircraft are ordered from Britain and France forming the foundation of what is to become the Royal Australian Air Force. This act passed on 25 November 1910 effectively led to the creation of the Royal Australian Navy. It provided the authority to fund new vessels, create a new Board of Administration, establish training institutions, a clear division between types of naval forces and set pay conditions and allowances. Legislation establishing the Commonwealth Bank was passed on 22 December 1911, with the aim that a government owned bank would guarantee the security for depositors that private banks had failed to achieve during the Great Depression. Fisher laid the foundation stone at Pitt Street and Martin Place, Sydney and was the holder of the first savings account opened. Legislation to enable compulsory enrolment to vote was passed and formally comenced on 27 March 1912. Australia was the first Commonwealth country to introduce compulsory enrolment. The wattle was declared our national flower on 19 September 1912. It was incorporated into the design for the Commonwealth Coat of Arms, to form a decorative backdrop for the kangaroo and the emu. The first Australian maternity allowance is introduced on 10 October 1912, providing five pounds on the birth of a child to eligible women. The first national stamp was released across Australia on 2 January 1913. It featured a kangaroo on a white map of Australia. This stamp superseded colonial stamps, which were only valid for postage in that state. The foundation stone for the national capital is laid on 12 march 1913, marking the culmination of years of negotiation and debate. 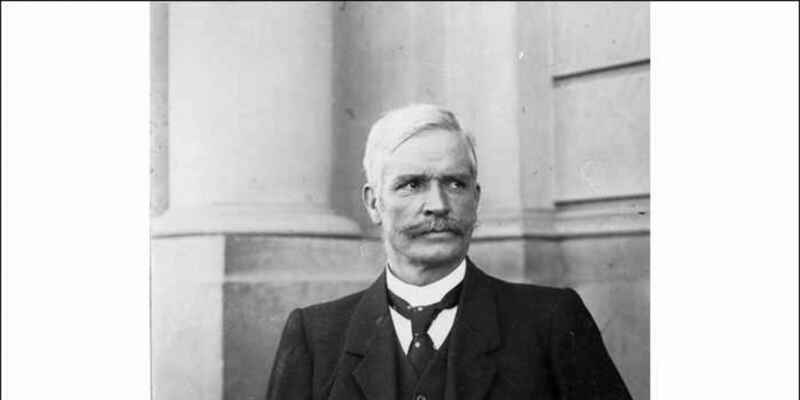 The Labor Party led by Andrew Fisher prevailed decisively in the 1910 election and achieved a majority in the Senate, winning all 18 seats contested. It was the first election to be contested by only two major parties, and the size of the win meant his government became the first to complete a full three year parliamentary term. The Fisher government was notable for its serious commitment to implementing the entire legislative program it had promised to voters. The 113 acts passed by the Fisher government were transformative, and included public policies relating to banking and currency, transport, defence, welfare and industrial relations. Fisher extended the concept of Federation into a practical and working system of Commonwealth government. After his party lost power again in 1913, Fisher comfortably won the next election in 1914. Deteriorating health, hastened by responsibility for Australia’s First World War commitment, led to Fisher’s resignation as prime minister in October 1915. However, Fisher had made the Commonwealth government a far more powerful and significant institution which could change the lives of ordinary Australians. Fisher is often credited with maintaining party unity purely through his pleasant disposition, decency and integrity. While this was undoubtedly a factor, it denies the real leadership skills Fisher would have needed to manage a large and ambitious Labor Caucus that included forthright individuals like Billy Hughes and King O’Malley. Fisher sensibly made sure he was the critical link between the party room, cabinet and parliament and, even during his period as wartime prime minister, still chaired the majority of Caucus meetings. On the occasions that Hughes took on the role of acting prime minister in Fisher’s absence, it was usually only a matter of weeks before the press reported dissension in the party ranks. Fisher and Hughes appeared to have a solid working relationship, with Hughes remaining as Fisher’s loyal deputy for most of his period as prime minister. Apparently, it was not uncommon for Hughes to borrow the official prime ministerial car for family business. The stability that characterised Fisher’s earlier ministries began to unravel after his election win in 1914, in part due to differing attitudes about how to conduct the war. The issue of conscription, which would soon cause so much damage to the Labor Party, was already creating tension, with Fisher and his increasingly ambitious deputy Hughes on opposing sides of the debate. At the Melbourne Town Hall on the evening of 13 September 1911, Douglas Mawson gave a lecture accompanied by lantern slides aimed at generating support for the Australasian Antarctic Expedition. Fisher spoke at the event which was attended by approximately 2000 people, including the opposition leader Alfred Deakin. He said, ‘I am not one of those who believe that there is no advantage to be gained from scientific exploration if it does not give an equivalent return in hard cash’ and added that ‘it was an opportunity that seldom fell to a young person.’ After committing five thousand pounds in Commonwealth funding to the expedition, Fisher appealed to Australians to assist a young Australian to achieve a place on the roll of fame as high as any of his predecessors. This support for scientific research followed the Fisher government announcement in 1910 that the British Association for the Advancement of Science had accepted an offer to meet in Australia. The Australasian Antarctic Expedition of 1911 to 1914 led by Mawson was the first large-scale scientific endeavour of the new Australian nation. It had explored some 4000 miles of the Antarctic, gathering valuable biological, meteorological and geographical data and undertaken radio transmissions from the Antarctic to Melbourne. Fisher Bay between the Antarctic mainland and the Mertz glacier was named by Mawson in 1911 in honour of Andrew Fisher. In 1912 the Fisher government introduced to parliament the Maternity Allowance Act. The act was to provide to all mothers of European background, married and single, a payment of five pounds on the birth of a child. The scheme met with considerable criticism and was regularly referred to as the baby bonus. 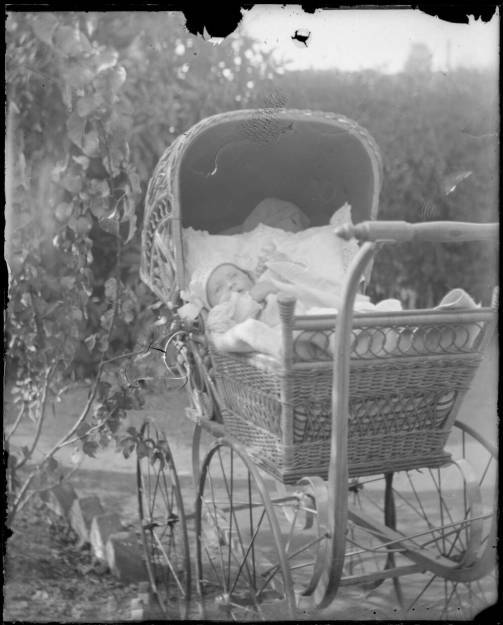 Newspapers of the day carried reports of a couple in Seymour, Victoria who received a cheque for ten pounds on the birth of their twin daughters. In the signature panel were the words ‘Andrew Fisher, Prime Minister’ and written across the face of the cheque was ‘Bonus for Babies’. A small parcel also accompanied the cheque, and contained a leather medal with an inscription acknowledging service to the state, that being the populating of Australia. Fisher, on being made aware of the hoax, responded that ‘I do not mind a harmless joke, but this is too serious a subject for the class of wit that necessitates imitating the signature of the Treasurer of the Commonwealth’. Later, when having his portrait painted, Fisher was given the option of holding a piece of legislation and chose the Maternity Allowance Act as representing one his most significant achievements. I believe that we have reached the stage in Australia, where, with universal suffrage and an educated democracy, we can do in Parliament for the workers what we could not accomplish by the universal strike.